Blush No More consists of thought-provoking and fun questions based on a location or situation. These questions move your conversation forward. Glance at your phone, and suddenly, you have material for the next person you meet. 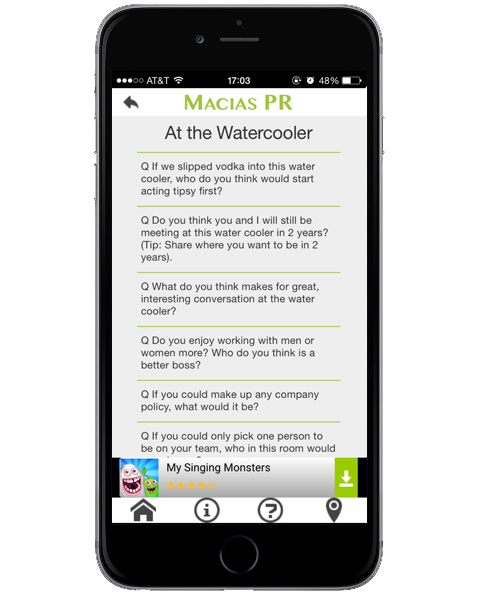 Just ask these questions and listen to how they drive interesting topics that will make others want to know more about you. At a political fundraiser: “What do you think your scandal would be if you were a politician? 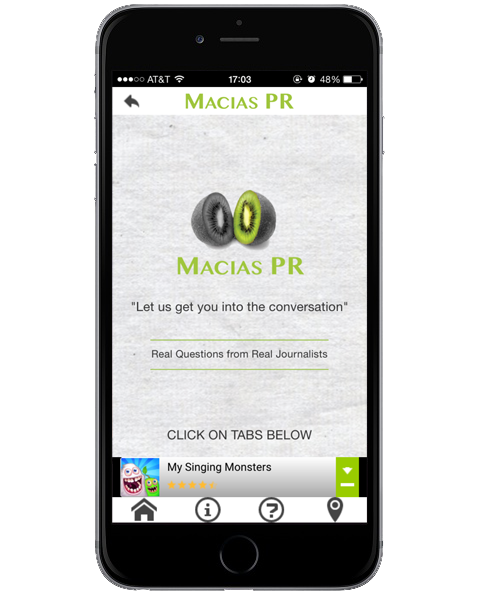 The mobile app also provides tips on how to move these questions forward. 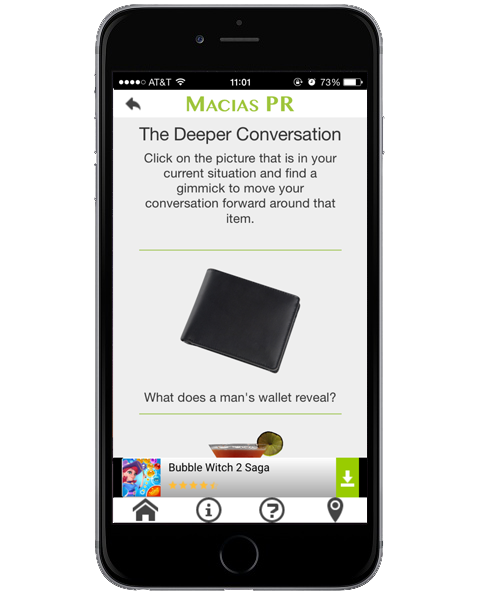 And when you’re in the conversation and want to take it to the next level, the app provides gimmicks that give more depth to any conversation. Not sure if the other person is interested? 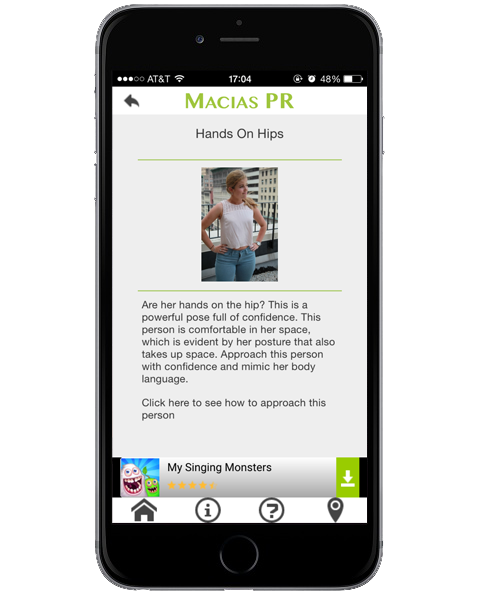 The app contains a visual guide to help users read anyone’s body language. Just compare the person’s posture to the photos in the app, and read what it suggests. Just make sure you’re discreet when using this cheat sheet.